BSG proudly announces a recently completed executive placement. Mobeen Khan formally accepted the position as the Chief Operating Officer at CIMCON Lighting. Mobeen Khan joins CIMCON Lighting with a background in technology marketing, business development, operations and strategy in IoT applications make him an excellent fit for the role. Before joining CIMCON Lighting, Khan was an executive at AT&T, where he served in progressively senior roles within the company’s IoT Solutions Division. He was instrumental in positioning AT&T as a leader in providing enterprise IoT solutions and building the technology and operational infrastructure to grow the IoT business. Before AT&T, Mr. Khan served as Chief Executive Officer of Inzigo, a software company providing natural language technology for speech recognition applications. Previously, he was also part of the initial management team at LinkShare, an e-commerce software and service venture, as Vice President of Business Development. Mr. Khan started his career at BellSouth Wireless Data (now Cingular) in various capacities, including product management, strategic planning, operations and marketing. 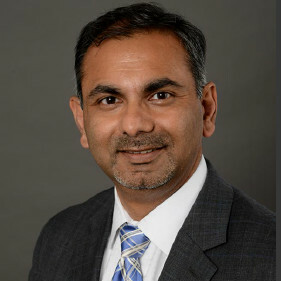 He has an MBA from Columbia Business School in Finance and Management, MSEE in Communications Engineering and BSEE in Computer Engineering from Rutgers University. For assistance with your next executive search, in the software sector or across our array of practice area specialties, contact us today.